Darren Criss was not going to settle in just one genre of entertainment. The versatile personality has had his impact felt on almost all faculties of the industry; ranging from acting, singing to songwriting. He is popularly known for his role as Blaine Anderson on Fox musical series, Glee. He is also popular for his remarkable role in Starkid Productions’ A Very Potter Musical where he starred as Harry Potter. In 2011, the talented act bagged a Broadway Award for his remarkable role in Starship. It took a lot for Criss to survive the competitive entertainment industry. Here are lesser known facts about the actor and singer. He was the youngest child of his parents Cerina and Charles and was born on February 5, 1987, in San Francisco, California where he was raised. He also spent time in Honolulu between 1988 and 1992. 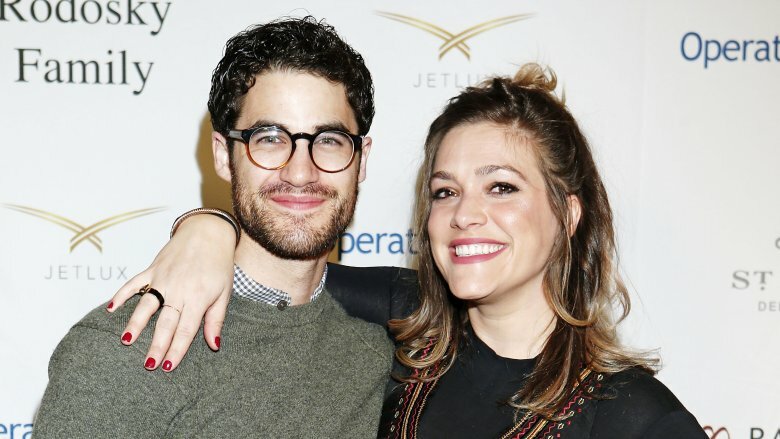 Darren attended Stuart Hall for Boys for his elementary education and also attended Saint Ignatius College Preparatory. Criss who was always inclined to music started to learn how to play musical instruments as early as the age of five. He mastered the violin and soon taught himself how to play other instruments. While he dwelt on the music field, he also ventured into acting and enrolled at the American Conservatory Theatre where he was trained in theatre performance. After high school, he proceeded to the University of Michigan where he studied Theatre Productions. He made his stage debut professionally in 1997 when he appeared in the play, Fanny, a 42nd Street Moon production. After his graduation from the University of Michigan, Criss alongside his friends founded Starkid Productions remarkably known for the musical comedy ‘A Very Potter Musical’, based on the Harry Potter series. His film career took off when he starred in the musical drama TV series Glee which shot him to prominence. He soon made another remarkable appearance on Girl Most Likely (2012). The musically inclined act who released his first EP ‘Human’ in 2010, has gone on several tours in the United States. With the way things are going for the talented actor, Darren Criss can bank on his versatility for greater achievements in the industry. He has a net worth estimated at $3.5 million which is attributed to his theatre and TV endeavors. Criss also has some investments which also add to his income. The singer and actor is a partner and an investor at The Motley, a California-based men’s grooming e-tailer. The songwriter also co-founded Elsie Fest, a music event where Broadway and pop music acts are featured. He continues to rise in the industry and will in the nearest future, look back at his struggles with a smiling face. Criss’ personal life always finds its way to the news given the actor’s controversial characters on-screen. His sexuality, for instance, has been a topic of discussion on various platforms especially because of the gay roles he plays on TV productions. It can be recalled that on ‘Glee’, Criss played the homosexual role of the love interest of Kurt Hummel played by Chris Colfer who is openly gay. This among other gay attributes led to speculations about the sexuality of the Glee breakout star. But the actor is not the type who leaves his fans wallowing in oblivion and assumptions. Darren Criss has confirmed his sexual orientation as straight. His heterosexual orientation doesn’t stop Criss from advocating for the LGBT community. The actor widens his embrace to everyone irrespective of their sexual choices. This may be due to the fact that Darren spent his childhood with people of different sexual orientation, causing him to warm up to them. But regardless of the possible reasons, Criss is proudly straight and also supports the LGBT. He also has his longtime girlfriend Mia Swier to prove his sexuality. It seems Mia would soon become the wife of the actor, as the couple who have been dating for over seven years announced their engagement in January 2018. Darren Criss has a perfect body that suits his profession. The actor and his slim body build weigh 69 kg (152 pounds) which is quite proportional to his height.